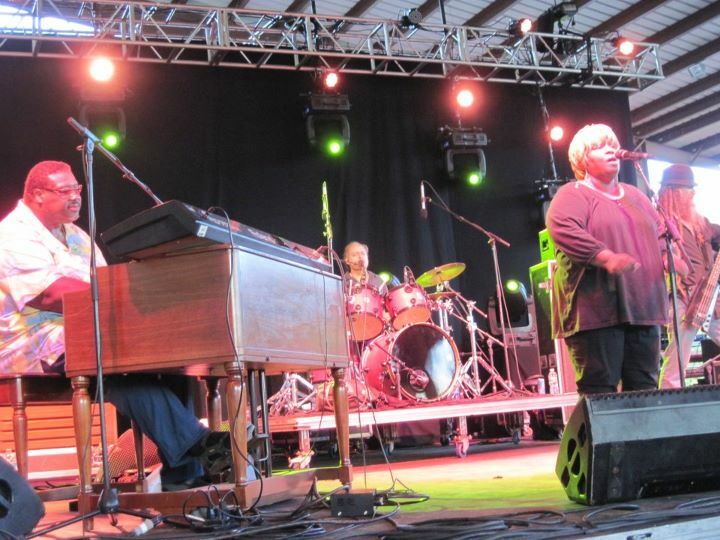 Melvin Seals and JGB played a rocking set on Friday evening at the Catskill Chill Music Festival. Even after playing for about two hours, Melvin sat down with Grateful Web and shared some stories and laughs about life on the road, major inspirations and playing with Jerry Garcia. 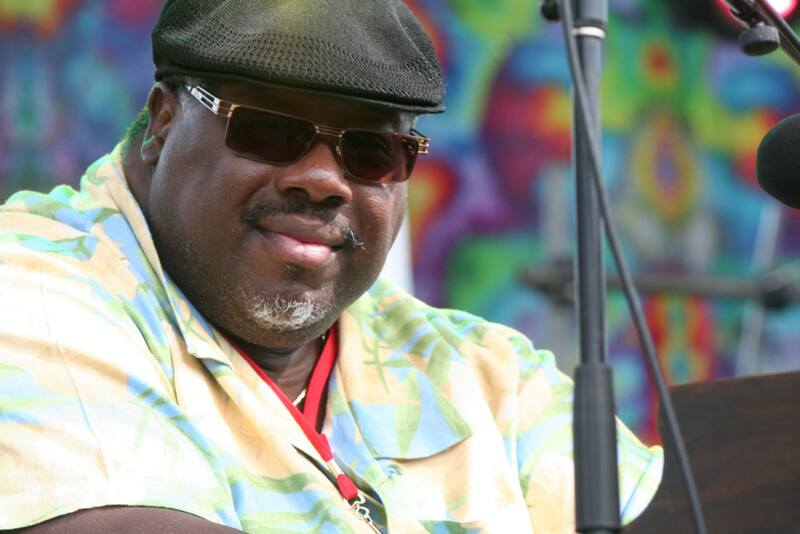 GW: This is Bobby Martin with Grateful Web and I’m here with Melvin Seals. Melvin, thanks for meeting with us. How’s it going buddy. GW: You guys put on a killer show tonight. It was great and was a great way to kick off this festival. There was so much soul. It was just great. Melvin: Aw, well thank you. GW: I’ve got a couple questions for you, Melvin. First of all, you have been playing music for about 50 years now. Melvin: Yeah, well about 48. Yeah. GW: What inspired you to start playing originally? What was the driving force? Family? Other musicians? Melvin: Well, my family was in the church. I used to listen to the church music on Sunday. You know, they get down on the piano and the organs. It just inspired me to see that. My father played piano a little bit and he had a piano in the house. So, you know, I started fooling around on the piano and started making a little bit of sense of it. I said, hey this is fun! So after school, everyday, I would sit down and try to pick up things I would hear on the radio or things I heard in church last Sunday. I’d just try to play things by ear and it grew and it grew to the point that my father saw there was a real interest there and he gave me some music lessons. GW: As you grew as a musician were there any keyboardists or piano players that stick out in your mind that you were kind of striving to be like? Melvin: Oh yea, I mean, back when I first got started I used to look up to Billy Preston. He came out of the church, too. I knew his background. He had that churchy, rock, gospel style. Even when it was R and B and Gospel it still had that church feel to it. I think that’s where I got most of it. And then, you know, when I started getting gigs and getting halfway decent, I discovered the jazz organists like Jimmy Smith, Johnny Hammond, Shirley Scott and all these other people. So I’m listening to that and going in that direction, but then listening to pop rock songs that had great organ solos. I got torn in a lot of directions when I was in my teens. That’s kind of why my style is so broad now- I listened to so many people. But it started with Billy Preston, I must say that. Melvin: Oh yea. Absolutely. When you don’t play you can get quite rusty even with things that used to be easy. It becomes complicated and you know that you aren’t putting the time in. But when I put the time in everything flows flawlessly, but when I don’t I go “ooh ooh,” I made a mistake there. Even tonight I said, “hey we got to put some more time in. Getting a little rusty.” You may not know it, but I know it. So you really forever learn and I think the day you stop learning is the kind of the beginning of the end. If you think you know it all then that’s it. Where else do you go? GW: Compared to when you were touring back in the 80s and 90s with Jerry, compared to this day and age- I saw a guy that was 50 or 60 years old in the front row tonight, but then right next to him is a 20 year old kid raging to the same music. And they both know what’s up. How do you feel about that? Melvin: That’s a really nice feeling because I think when we first started carrying on after Jerry, a lot of the older Dead Heads who went to see Jerry were not supportive. Their kids were. You know, the ones who never got to see Jerry felt blessed. We were like the link to Jerry. But a lot of the ones who saw a lot of Grateful Dead shows and Jerry Garcia Band shows just wasn’t’ coming out. Now more and more of them are starting to come out. So that’s a good feeling that you are grabbing some of those, but even if I didn’t the younger ones are really the ones who go to the shows and buy the tickets. I mean, they know all the words just like the old folks do. They know every word. So it’s good to see a younger generation because that’s what will keep you going. GW: Do you think that will live on? Melvin: Oh it’ll live on. They’ll just keep going. And their kids and their kids will be listening. I don’t know who will be around to play it but they’ll just keep it going. If I was relying on the old generation, I’d be a biting breed unfortunately. GW: I’ve got two more questions for you and one is really easy. Well, this may be easy too but describe what it’s like to play on stage with Jerry Garcia. Melvin: Well playing with Jerry was a lot of fun and a challenge because Jerry would do a lick and then I’d do a similar lick. And then we started challenging each other in a fun way. You know he’d do something and the audience would clap and roar and then I’d do something that got a clap and roar. Then he’ll do something and a clap and roar. And we’d do that five or six times and then he would just do something that was totally impossible for me to do. He’d just go off in space and I’d be like “Okay man, you got me.” He’d get me every night. (laughing) Then I’d just kind of look down and be like okay. I knew it was coming but at least I held with you a little longer than last time, you know? Those were fun times. He’d look at me and smile and lift his leg up. You know there’s little things we do. We had cues that meant something. They meant that things were okay and the vibe was right and the tempo of the song is good right now. He’d look over and give that little grin and let me know that things are good right now- that he’s liking this. That was really always special. Being on the opposite end of the stage and watching him do his thing. Melvin: Me? (laugh) No man, I’m totally keeping Jerry’s music, vibe and spirit alive. Jerry used to call me- he had a title for me called Master of the Universe. He’d always be like “Oh Melvin. He’s like the Master of the Universe. It was the way he described me. But you know, I’m trying to keep what I learned on stage with Jerry alive the same way. Same vibe. Same feel. What leaves the heart reaches the heart so we just try to play from the heart. You know and hopefully someone out there can feel it and enjoy it. I see people going away and having a good time, and there are certain songs where sometimes I see people with tears in their eyes. A song like Forever Young or others that are very touchy with certain people. Then I know that we are reaching the mark. It’s not for financial gain because this is nowhere near what we were doing with Jerry. Nowhere near it. And actually sometimes it’s a struggle. We’re from San Francisco and we flew out here for one show and we go back tomorrow. And it’s really expensive so it eats into our money of what you would make if you were on tour. But we come here and do this because we saw last time that the people seemed like they were having a really good time and it looked like that again this time. When I can put a smile on someone’s face in a world like today with all the news and stuff you hear that is so bad, we can smile and laugh and have a great time and I am all about that. And that’s all I’m doing here. GW: You are the man, Melvin. Melvin: (laughing) Alright, well thank you. 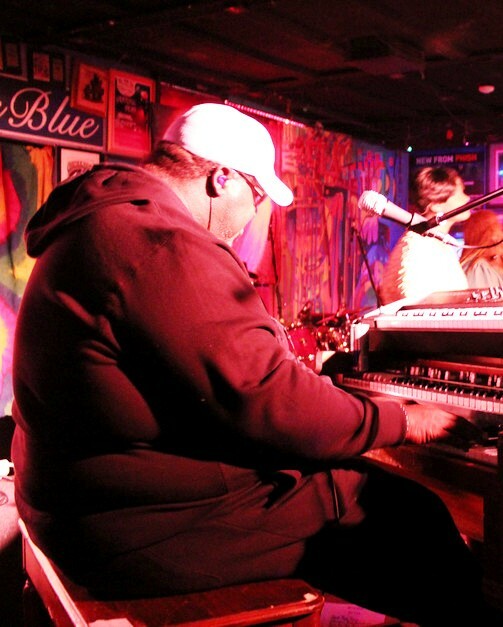 GW: Melvin Seals here with Grateful Web. It was a pleasure talking with you, buddy.